I believe that the blessings we give and send out on the first day of the month have luminous energy. This energy is activated and grows; and with the good mojo others send out, it blends and comes back to us bathed in light and love! August for 2018 is a Universal 10/1 Month in Numerology (2+0+1+8+8=19 1+9=10/1). It starts a new cycle for us; new beginnings and the 0 in the 10 blesses us. 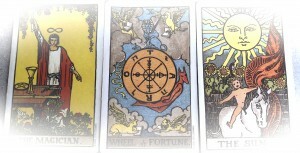 From a Tarot Perspective, 1 is the Magician, 10 is the Wheel or Wheel of Fortune, 19 is the Sun. 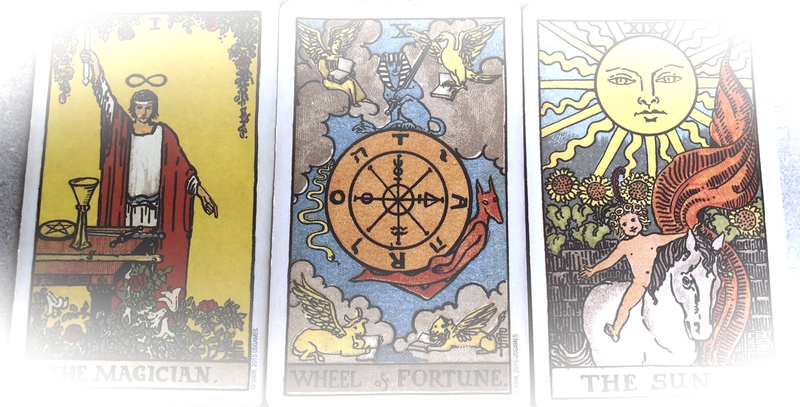 It’s time to get our magic on as the wheel turns and like the sunflowers in the Sun card, turn our faces toward to the light! 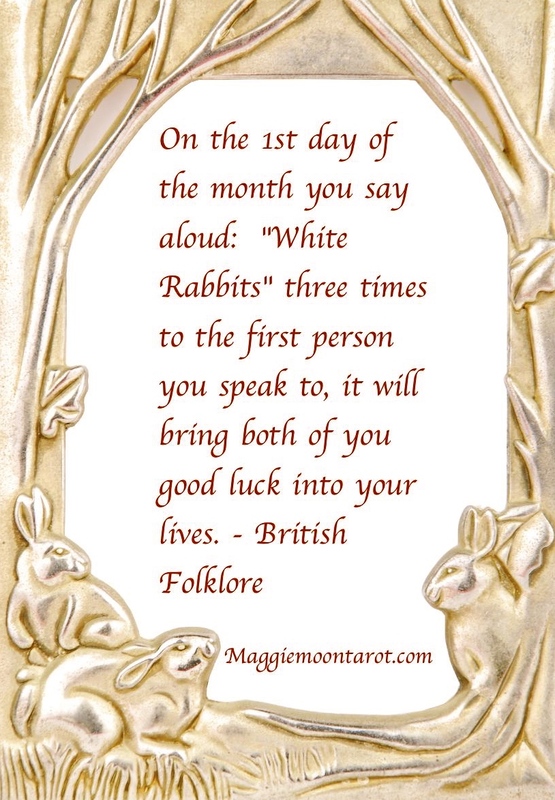 This entry was posted in August, Maggie Moon Tarot, Numerology, White Rabbit, White Rabbits and tagged August, August Numerology, Maggie Moon Tarot, Numerology, Tarot, White Rabbit, White Rabbits. Bookmark the permalink.